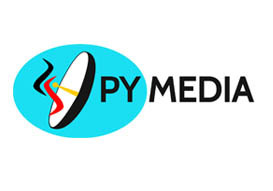 Pitjantjatjara Yankunytjatjara (PY) Media is a pioneering Anangu owned and controlled regional Indigenous Media Organisation supporting media and communications programs in the Anangu Pitjantjatjara Yankunytjatjara (APY) Lands of north-eastern South Australia. It supports six Remote Indigenous Broadcasting Service communities- Fregon, Ernabella, Mimili, Indulkana, Amata and Pipalyatjara –as well as the hub site in Umuwa. When day to day issues become a challenge, consider the value of taking time out from community life, approaching senior people in your family for some guidance, clearing your head and making positive lifestyle choices. You would be surprised the difference it can make. Setting rubbish on fire is a hazard to your community, country and family. It can cause large fires, pollute the air around your community and it is also illegal. Please don't set rubbish on fire! This video is a humorous look at waste management in our communities. Rubbish bins are in place keep them clean, but they don’t work if we don’t use them. Please put rubbish in the bin. This video explains that rubbish dumps contain a myriad of hazardous materials, elements and compounds. People need to be mindful of this fact and be appropriately cautious and read the signs delineating potential hazards. Old cars can be a valuable source of spare parts, but if you set them on fire they are useless to everyone. Also burning cars releases toxic fumes which are harmful to people and the environment so, don't set cars on fire! Be healthy and happy! Colonial Australia has brought a lot of unhealthy foods into Aboriginal Communities so it is important to make positive lifestyle choices. Mai Wiru Ngalkunma! Asbestos is present in some community rubbish dumps on the lands and can be extremely harmful to your health is disturbed. This video explains how to avoid exposing yourself needlessly to asbestos to happy and healthy! Raputji Dump-kutju. Nyangawanu tjarpa. Raputji waninytja wiya nyangangka! The documentary Tjilpiku Tjukurpa Tjuta was produced by PY Media.